How Much Does a Magellanic Penguin Weigh? A few months ago I started searching for a way to use my engineering skills to better the world, specifically in nature conservation, which is a big passion of mine. I researched and emailed labs at the University of Washington to see if they had any work that I could help with in my free time. I was fortunate to connect with the Penguin Sentinels lab, led by Professor Dee Boersma, who has been dubbed “the Jane Goodall of penguins”. Penguins are thought to be great indicators of the health of marine ecosystems. By studying these creatures, we can better understand the true effects of overfishing, pollution, climate change, and other issues our planet is facing. I found that I could assist the lab by developing weighing scales for Magellanic Penguins being studied in Punta Tombo, Argentina. Penguin weight data is used by the researchers to monitor the overall health of colonies over time. Unfortunately, the current scale models have flaws that make data collection difficult in the harsh Patagonian terrain. Data corruption, reliance on lead-acid batteries, and water-ingress are a few of the issues that were initially presented to me when I started volunteering for the lab. My goal is to deliver more robust and durable scales that the researchers can use when they head down to Punta Tombo in September 2017. So far, we are on track to finish the above tasks by September. My co-workers at Synapse (and even a few alumni) have been supportive in my efforts to patch up the existing scales that will be sent down to Punta Tombo. There are several challenging aspects to the work that I'm doing. The current scale design is not future-proofed or well documented, meaning that adding features and fixing bugs cannot be done without a few weeks (or even months) of understanding the current system. I spent a solid month just trying to understand why the processors were overheating, when it was revealed that it was due to electrical wiring changes that resulted in incorrect voltages being used. Proper documentation of scale development and maintenance would save us from similar hurdles in the future. Another challenging part of this project has been my transition into a pseudo-project manager (PM) role. I’ve learned how to elicit and manage requirements, set timelines, delegate tasks to other volunteers, and collaborate with the client (the lab). It's been hard to learn how to be both a PM and a Technical Lead at the same time! But, it's also been rewarding to see how proper application of the engineering process leads to success in the development of the scale. With more structure, organization, and direction, it’s looking like the scales will be fixed in time. The most rewarding part of the project is knowing that I am aiding research in a field I am very passionate about. Trends in penguin health can mirror trends in the marine ecosystem. Data indicated that in the 1980s and 1990s, petroleum pollution was a major source of Magellanic penguin mortality. Because of this finding, tanker lanes were moved 40 kilometers farther off the coast of the Chubut Province, thereby reducing the incidents of oiled penguins. 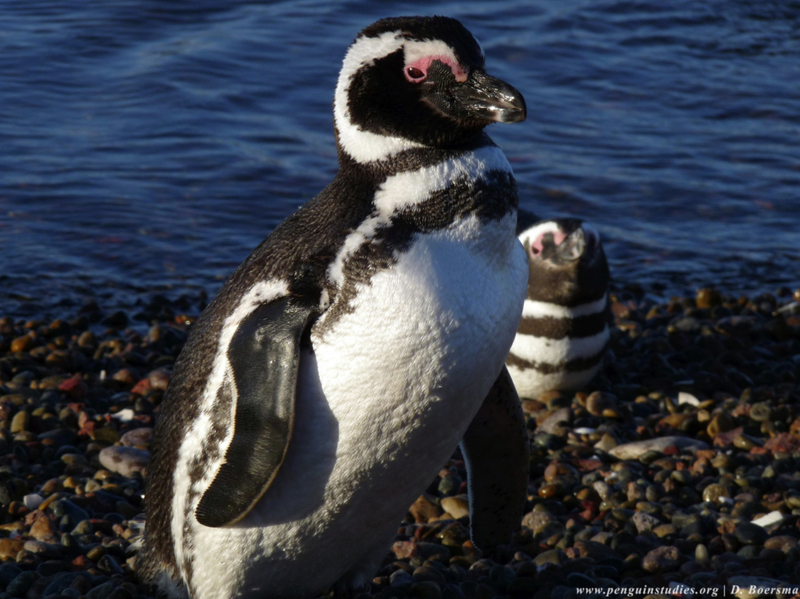 Hopefully, the analysis of trends in penguin weight can help promote further conservation efforts against overfishing in the Magellanic penguin habitat. Our goal is to send 3 functional scales to Punta Tombo by mid-September that will autonomously measure penguin weights and record RFID tags through March of 2018. Our goal is to send 3 functional scales to Punta Tombo by mid-September that will autonomously measure penguin weights and record RFID tags through March of 2018. If possible, the lab would like to expand on the scale design to support long-distance radio communication to better aid the research effort in future seasons. Other devices such as RFID “door mats” (placed in front of nests) and camera systems to monitor the colony have been proposed for future work. The Center for Penguins as Ocean Sentinels accepts donations to help continue our work in research and conservation. I hope that through my work with University of Washington, I can inspire more engineers to get involved with projects that they are passionate about. If this project is successful, I would like to continue volunteering for the lab as an engineering consultant, or find other organizations (in the conservation field) that would benefit from the engineering process.